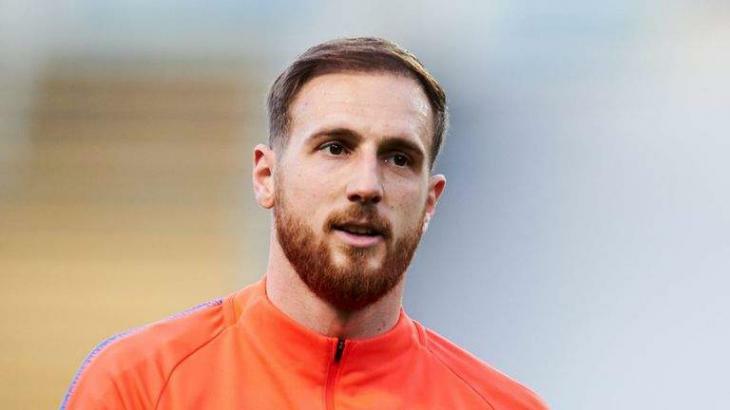 Madrid, (UrduPoint / Pakistan Point News - APP - 17th Apr, 2019 ) :Atletico Madrid goalkeeper Jan Oblak has signed a new contract until 2023, the club announced on Wednesday. Oblak's commitment comes as a boost to Atletico, with the 26-year-old establishing himself as one of the world's finest goalkeepers since joining the club in 2014. "Jan Oblak has extended his contract with Atletico Madrid until June 30, 2023," a club statement read. "The Slovenian player has signed his new contract that commits him to our club for four more seasons." Oblak's previous contract contained a release clause of 100 million Euros, which is likely to have been increased, rather than removed, in his new deal. According to reports in the Spanish press, the adjusted release clause will be 120 million euros. But the likelihood of Oblak leaving this summer is reduced. According to Atletico's statement, Oblak said he was "very happy to sign a new contract and happy to be here. "Oblak added: "I will always give my best to defend this shirt with everything I have and I will continue to work hard. "Oblak has played 203 matches for Atletico and kept an impressive 115 clean sheets. He was also named in the Champions League squad of the year for both the 2015-16 and 2016-17 seasons.